Designed / launched by whom/when: Internationally renowned Architect Paolo Piva (1950-2017) established architecture practices in Venice and Vienna. He designed several beds for Poliform, the first being Zoe in 2003, followed by Teo, Ala, Ando, Angie, Arca and Onda in 2007. 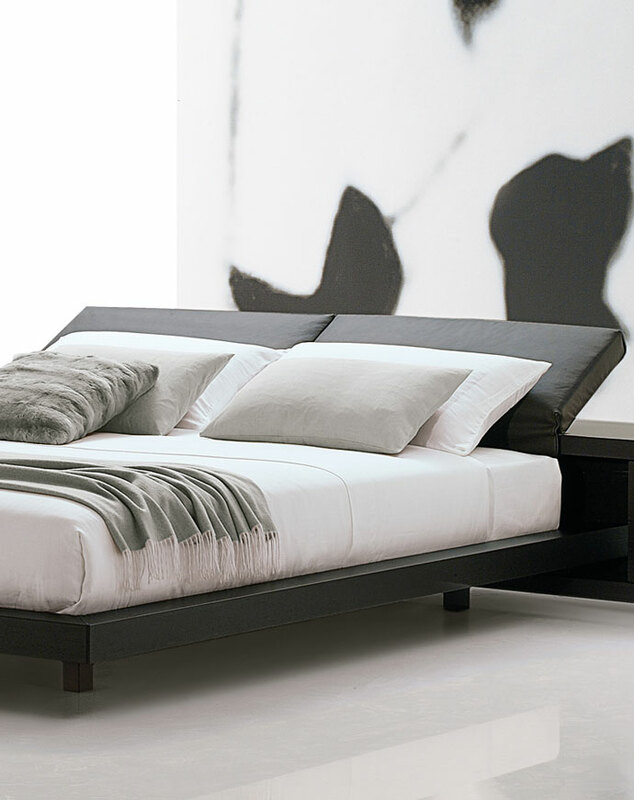 Inspiration: A bed designed to be a centerpiece with adjustable headrests, bedside tables and bookshelf all in one. Fabrication: Double padded three setting headrests in ‘bitter chocolate’ Italian leather. Dark brown ‘wenge’ veneered frame with back shelf that runs through to form open backed bedside tables with two separate interchangeable single and double ‘night drawers’. Design Consigned Stylist: Zoe can be positioned as a centrepiece. in front of a window or against a wall. Design Consigned Collector: Authentic purchased from Poliform Melbourne 17 years ago. In excellent condition with no visible faults. Stamp or Mark of authenticity: Visible Poliform seam tag on leather headrest. Purchase Verification: One owner. Original Invoice provided.